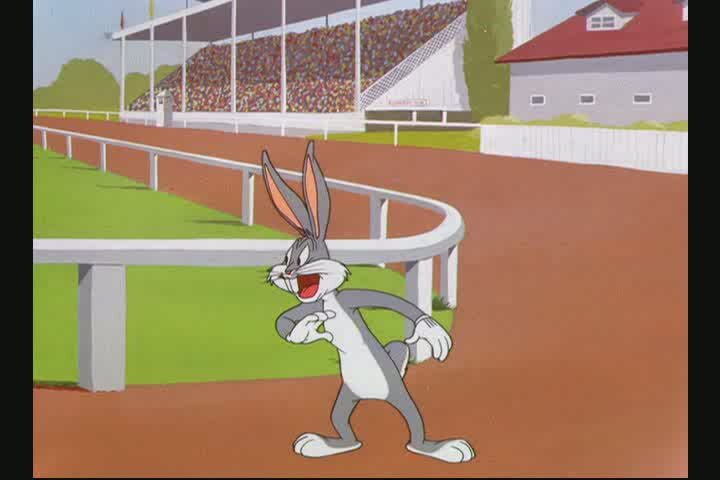 Bugs Bunny is at the dog races , where he falls in love with the mechanical bunny leading the dogs. Bugs disposes of the dogs, having a hard time on number seven. But when he can finally kiss his sweetheart, the results are electrifying! 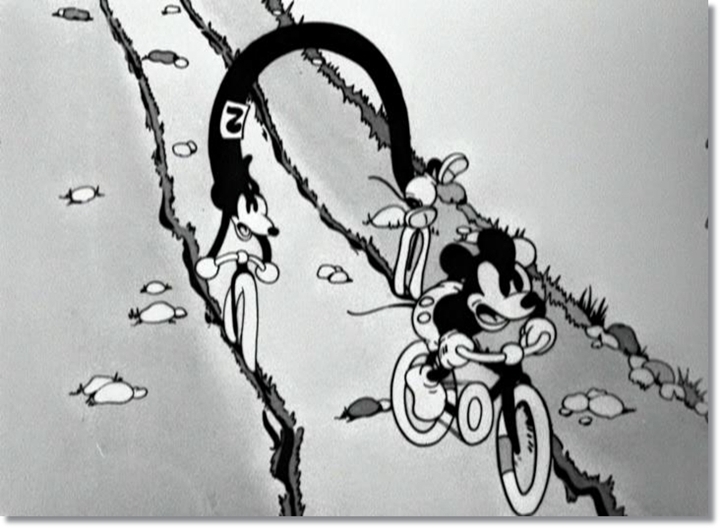 ‘The Greyhounded Hare’ shows some of the flaws that were creeping into the McKimson cartoons around this time: there is a lot of excess animation, especially on Bugs Bunny; but worse, there is a surplus of dialogue, even though Bugs Bunny is the only talking character. 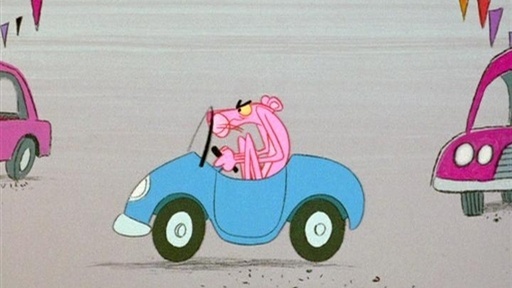 Unfortunately, this leads to a cartoon in which the idea is sillier than its execution, despite a short Tex Averyan doubletake and another surprisingly Tex Averyan dynamite gag.